Happy with your website? - Coach & Grow R.I.C.H. #1 – Do you have a website for your business that you absolutely love and that consistently brings new subscribers to your list and inquiries from potential clients who want to work with you? #2 – If you have a website, are you happy with your ability to quickly and easily make changes to it when you need to? If you answered “YES!” to both then feel free to stop reading now and move on with the rest of your day… And congratulations, by the way, because A LOT of coaches would say “NO” to one or both of those questions. If you don’t yet have a website that works for you, here’s a super helpful resource that will help you design a coaching website that actually works. It’s called the Do-It-Yourself Website Creation Checklist. In it you will discover exactly which pages you need to include if you want to attract new coaching clients. It’s from my good friend and Website Creation Queen, Christina Hills, and in it she also shares her advice on which pages you can wait until later to create, because she knows one of the biggest hurdles coaches face is getting overwhelmed by too much to do! If you need a new website or want to get the one you have producing better results, I highly recommend you see what Christina has to say in her free video and download. What I love about Christina is she makes technical subjects so easy to understand. 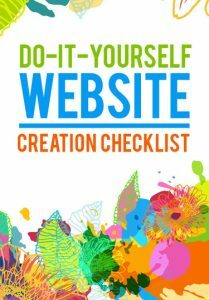 >> Click here to get your free website checklist.